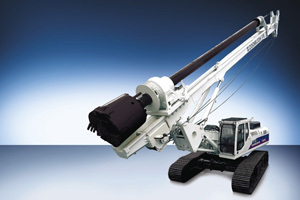 OLIVIER / Zoomlion series rotary drilling rig are considering all for your success. The imported elements are all from international famous companies. Our design concept is economical, efficient, reliable and intelligent solution. All of them ensure high quality of ZR series rotary drill rig. Friction kelly bar: Diameter Ø 1m & Ø 1.2m sand drilling bucket for each.